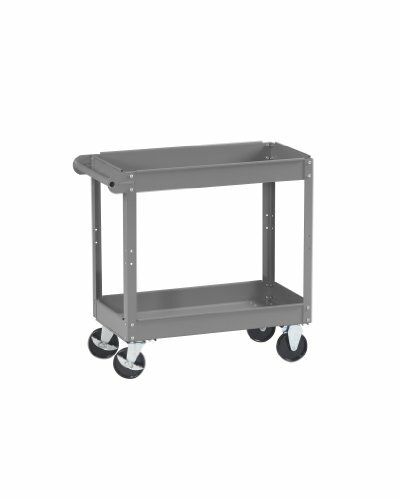 Tennsco Service carts a valuable addition to any work area. Portable service carts with top and bottom trays to house an assortment of tools, parts, and odds and ends. Two fixed and two locking swivel casters with 5" wheels provide maximum steering control in confined areas. Push handle is rounded to allow for a firm, comfortable grip. Top tray can be inverted to provide flat work surface. Tray may be added to the cart anytime for additional storage. Measures 16-inches width by 32-inches height by 30-inches depth. Work Height Platform Truck, 1200 lb.